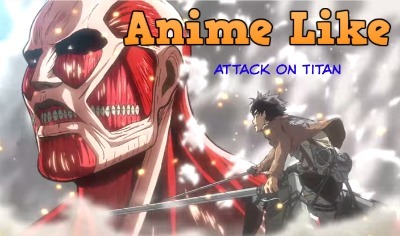 Here are my top picks for animes like Attack on Titan. The list is in no particular order. Claymore is known for it’s strong female characters, and Shingeki no Kyojin is just the same. Both are about humanity struggling against overwhelming odds against monsters. In the year 2021, mankind was defeated by Gastrea, a parasitical virus, and is forced to live within a wall made of Varanium Monoliths, a metal that is able to subdue Gastrea. Soon, the “Cursed Children”, children born with the Gastrea virus who are able to control it—which gives them superhuman abilities—were discovered. Due to the Gastrea virus’ intervention, the Cursed Children could only be female. Civil Securities are formed to specialize in fighting against Gastrea, operating with the pair of an Initiator, who are cursed children, and a Promoter, serving to lead the cursed children. Ten years after the war, Rentarō Satomi, a high school student who is also a Promoter in his childhood friend Kisara Tendō’s Tendō Civil Security, along with his Initator Enju Aihara, receives a secret mission to prevent the Tokyo Area’s destruction. Guts, a man who calls himself “The Black Swordsman” looks upon his days serving as a member of a group of mercenaries, the Band of the Hawk, nicknamed “the Grim Reaper of the Battlefield.” Led by an ambitious, ruthless, and intelligent man named Griffith, together they battle their way into the royal court, and are forced into a fate that may change their entire lives. Both series have many epic moments, a dark atmosphere, and a lot of blood. In terms of their settings, Berserk and Shingeki no Kyojin are both set during medieval times. Both anime deal with demons, revenge, battle, and are both male power fantasies. Two brothers lose their mother to an incurable disease. With the power of “alchemy”, they use taboo knowledge to resurrect her. The process fails, and as a toll for using this type of alchemy, the older brother, Edward Elric loses his left leg while the younger brother, Alphonse Elric loses his entire body. To save his brother, Edward sacrifices his right arm and is able to affix his brother’s soul to a suit of armor. With the help of a family friend, Edward receives metal limbs – “automail” – to replace his lost ones. With that, Edward vows to search for the Philosopher’s Stone to return the brothers to their original bodies, even if it means becoming a “State Alchemist”, one who uses his/her alchemy for the military. The loss of mothers plays a significant roll in shaping the characteristics of the protagonists of these two shows. It’s been a thousand years since the Gauna, a strange alien race with no known method of communication, destroyed the solar system. A portion of humanity managed to escape using enormous “seed ships” like the Sidonia, which have allowed them to maintain the population while drifting through space. Nagate Tanikaze is a young man who has been raised deep in the bowels of the ship. 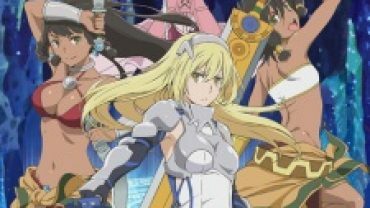 When he goes into training to pilot the huge robotic weapons known as Gardes, Nagate is entrusted with piloting the legendary unit known as Tsugumori. Nagate and his fellow pilots put their lives on the line against the Gauna, in the ultimate battle for the survival of humanity. Both are placed in a world where humanity is in danger and need to defend themselves from this dangerous enemy who can push them to the brink of extinction. There is lots of mystery around the creatures, where they came from, why they are attacking and what do they want, if they want anything. I love to write online!